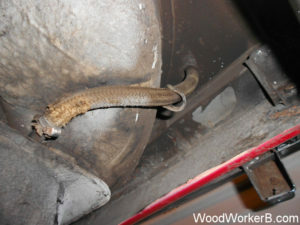 The Datsun 240Z gas tank is often overlooked, and the hoses can be in sad shape. It is a good idea to drop the tank and inspect the hoses – especially if you are smelling gas in the car. Also, like I had, taking off the gas cap would be followed with a pretty powerful blast of gas fumes- something was not venting properly. 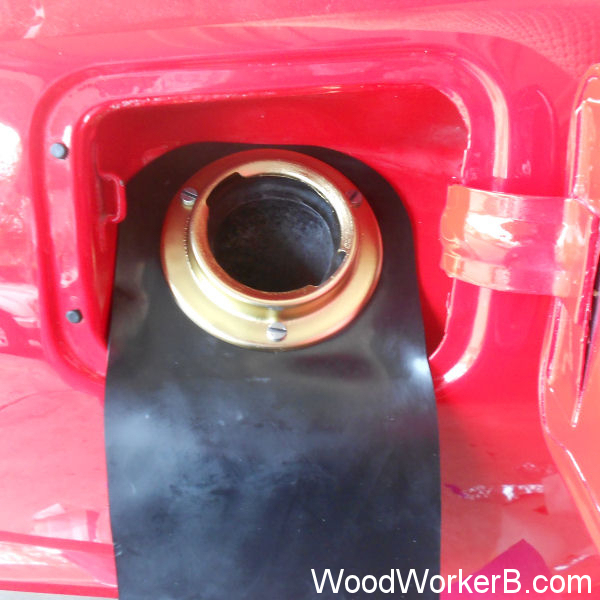 Here is my experience restoring my Datsun 240Z fuel tank and associated hoses. 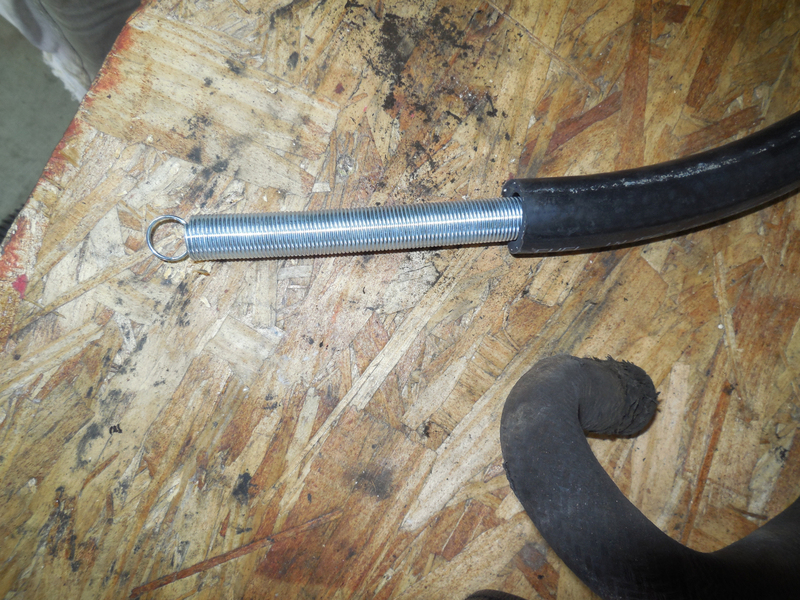 I had the gas tank hot-tanked and epoxy coated and I replace all hoses with OEM-Like cloth braided tubing. The gas tank was the only item I did not remove from the car during the restoration. In retrospect, it was a foolish oversight. Especially when one of the old vent hoses finally gave out, and I was a rolling BP oil spill. I decided to do it right, pull the tank, have it sealed on the inside, replace all the hoses. The tank comes out easily it’s a lot of work, but not technically difficult. 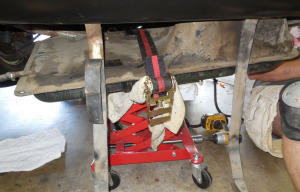 Remove the clamp from the gas filler neck to the tank, and remove all the vent and fuel lines you can reach. Use wooden blocks to support the tank as you remove the straps. Remove some of the wooden blocks, one at a time, to carefully lower the tank. 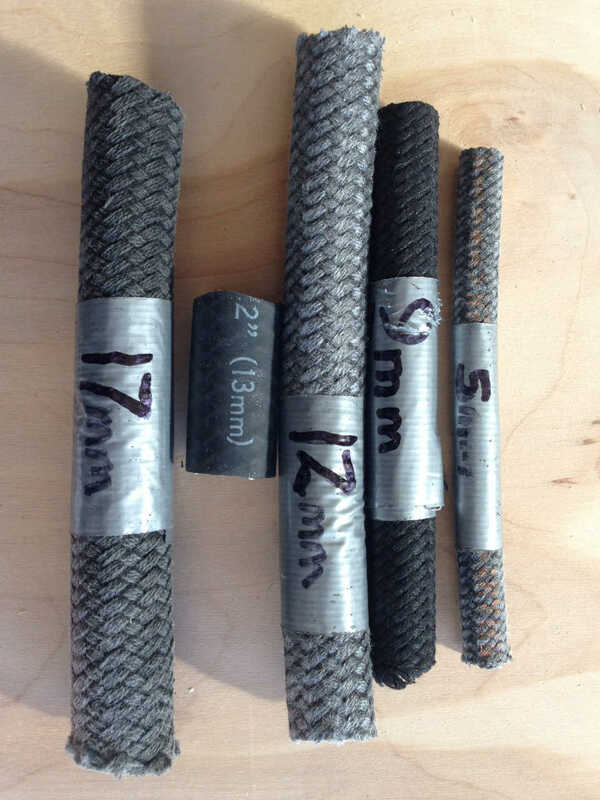 Once it’s down 4-6 inches you should be able to reach the last two difficult to reach hoses. You will repeat this process in reverse to re-install the tank. It can be done solo, but an assistant would be nice. If you have access to one, a transmission jack makes this task even easier, especially re-installation! The tank was in very good condition. A local radiator shop ‘hot tanked’ it and applied an epoxy-type sealer. 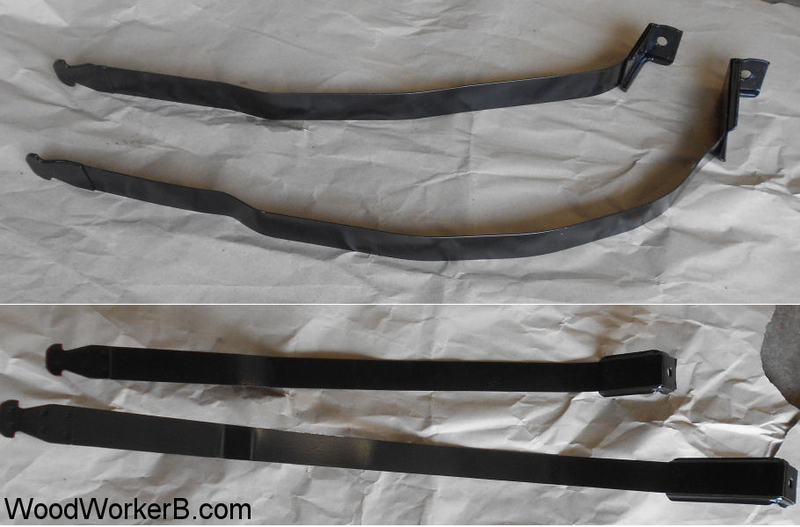 Below is an image of the inside of the tank, before (left) and after (right) the protective coating. Since the tank was in great shape, the coating was not required, but I am operating from the position of “I never want to mess with this again. Ever.” I tried to get a photo from the same angle, but taking photos through the filler hole isn’t easy! In both photos, one of the baffles can be seen. The tank itself was in sound shape. It had a good layer of undercoating on the bottom of the tank which had to be chiseled-off a bit at a time. Took a few hours. Wire wheel, flapper disk, and a lot of elbow grease and the outcome was very nice. I primed with Eastwood Rust Encapsulator (two coats) and finished with Eastwood Extreme Chassis Black Satin (two coats). The tank support straps were bead blasted to bare metal, primed with a two part epoxy primer and finished with the Extreme Chassis Black. The rubber isolation strips were in great shape, so they were carefully removed, washed, cleaned and re-used. 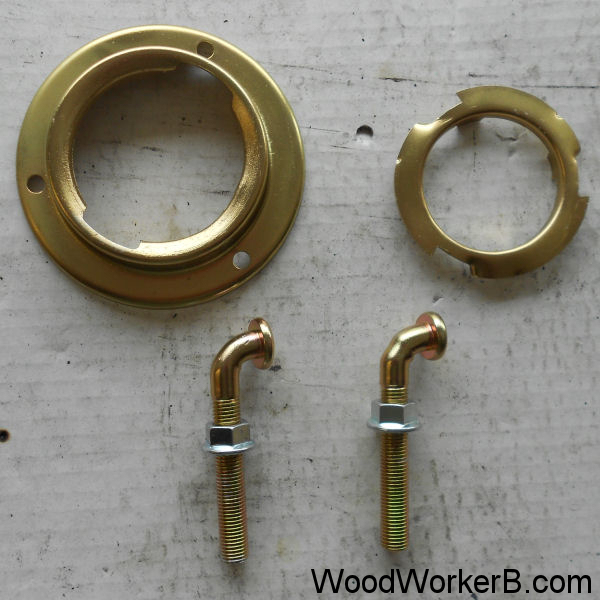 I was referred to a local plating house that will do small side-jobs of gold-colored-zinc-plating. The results were amazing and the parts look brand new. It is not exactly like old-fashioned (and poisonous) CAD plating. For what it’s worth, I also shot these with a clear coating. Fig 3. 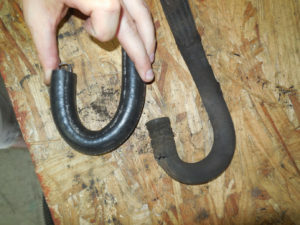 Braided vent hose – unique shape. 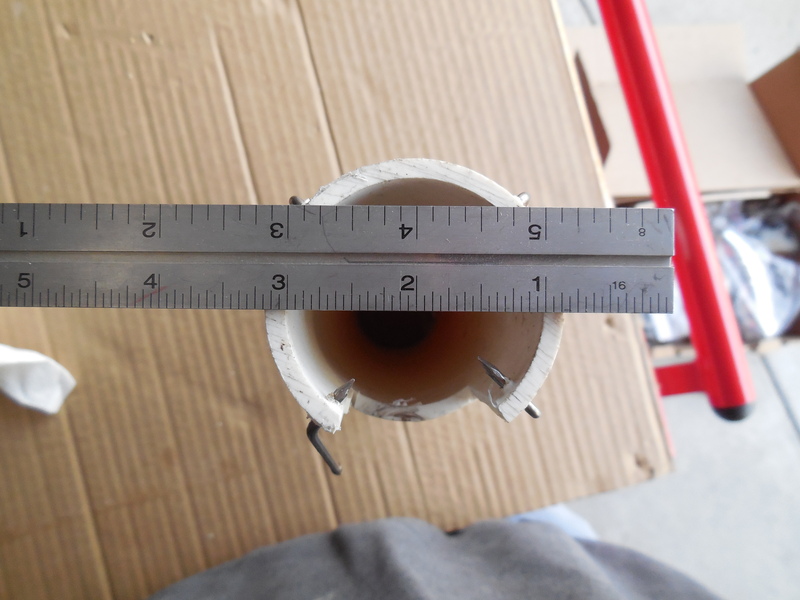 See if you can score short pieces of different sized tubing and mark them for easy identification. This is the best way to see what size fits best on each fitting. I found it to be well worth the effort. Sort of like a set of ‘feeler gauges’, but for tubing. The largest vent line makes a fairly sharp U-turn before heading through the rear deck to the vapor canister.Attempting to bend the tubing this sharply will result in kinking, making the vent useless. Inserting a snugly fitting spring will prevent the bend from kinking. Another suggestion from Marty Rogan: Goodyear E-Z coil. 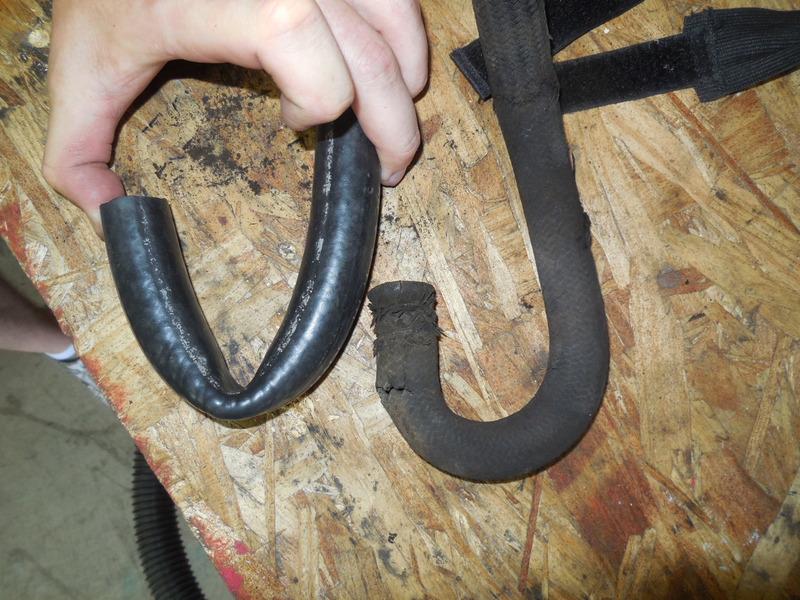 Hoses 4 & 5 are the fuel-out to the fuel pump (larger of the two) and the fuel return line back from the fuel rail. Hose 6 goes to the under-the-hood vent (Flow Valve Guide). 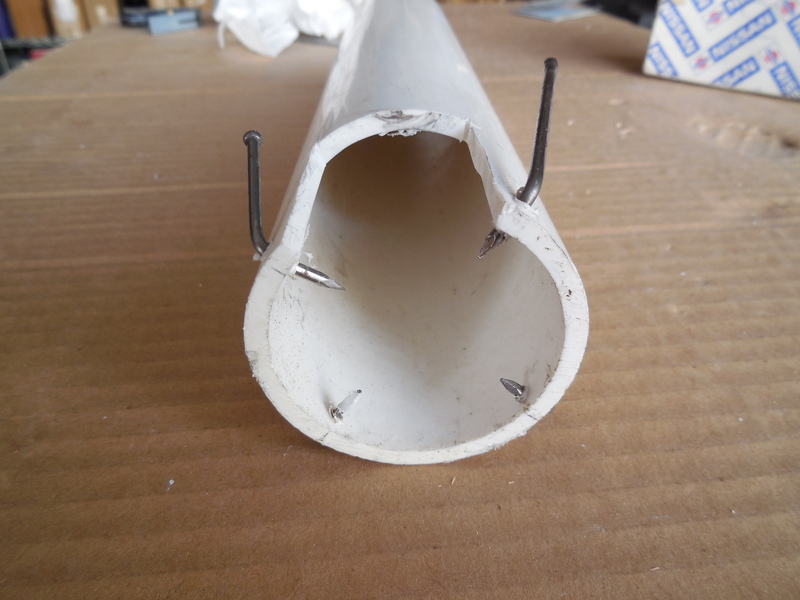 I made a custom “Sender Unit Removal Tool” using a piece of plastic water pipe and 4 nails. Crude, but very effective. Removes the retaining clip with no damage – no need for a block of wood and a mallet. However, removing the rubber boots that protect the connectors at the sender unit was a chore. Putting them back on was proving to be even worse. The rubber boots that cover and protect the connector and the lug on the sender unit were as hard as stone. Carefully heating them with my heat gun caused them to soften up very nicely and they stayed flexible long enough to pop them on with no issues. I wish I would have thought of that when trying to take them off!